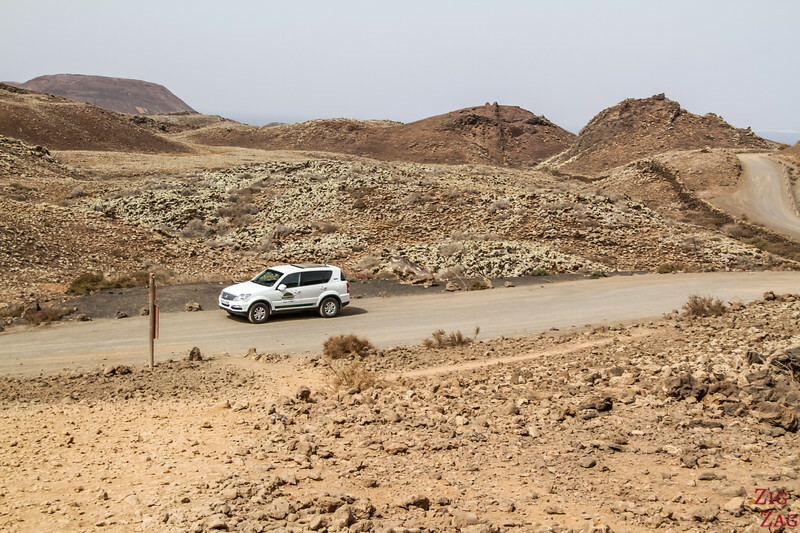 There's lots of things to do in the Canary islands to explore the rugged beauty and have fun: below are my 11 favorite Excursions in Fuerteventura to admire the various landscapes, go off road or head to Lanzarote. 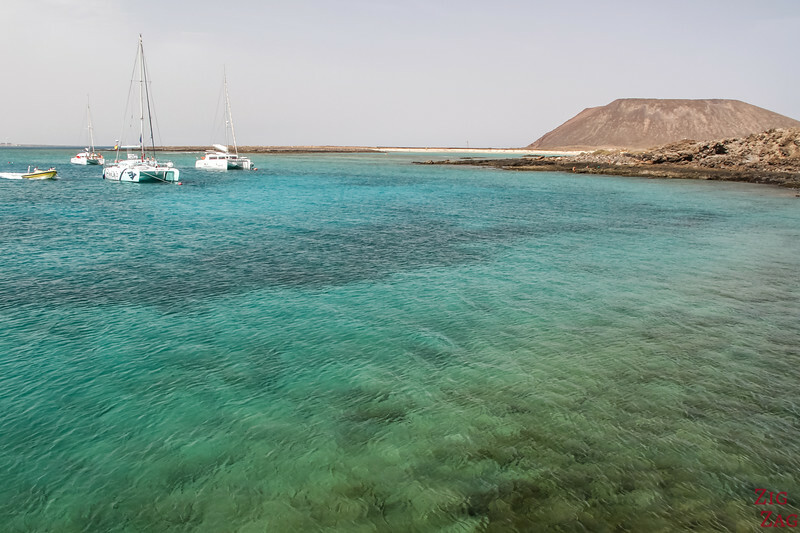 This guide also includes some of the best Fuerteventura boat trips to experience the island from another perspective. If you want to create your own excursions, you can go to the last section of this article. Otherwise, here comes my selection of great day tours and activities in Fuerteventura. 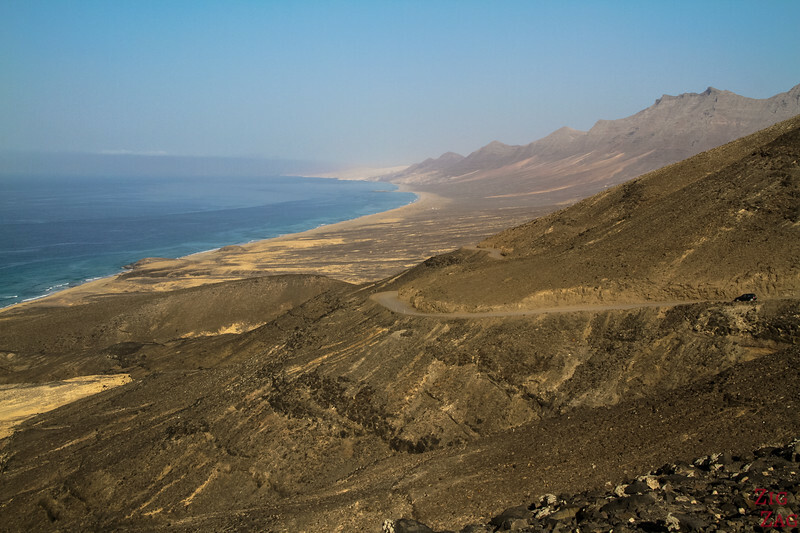 My favorite excursions in Fuerteventura are to see the various landscapes the island has to offer. You will see a lot less volcanoes than in Lanzarote, but it has great alternatives: mountains, large sea caves, sand dunes. 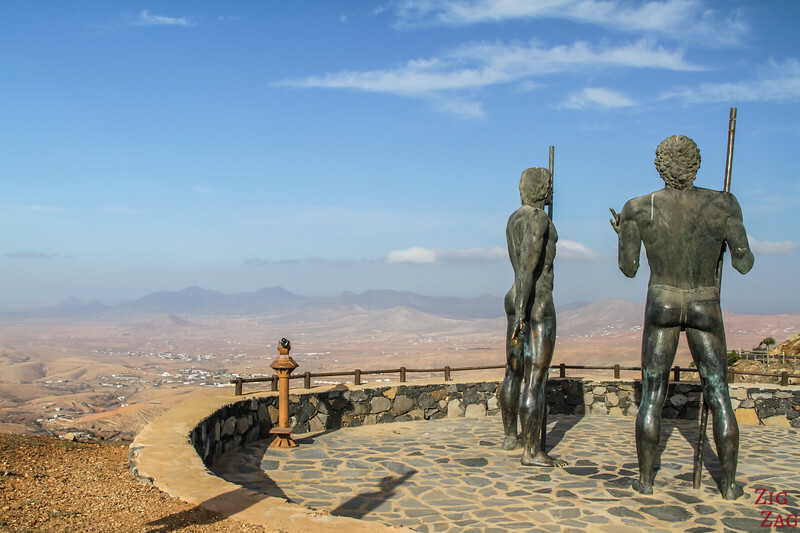 In the center of Fuerteventura is a volcanic mountain chain with several viewpoints. The land is very old. 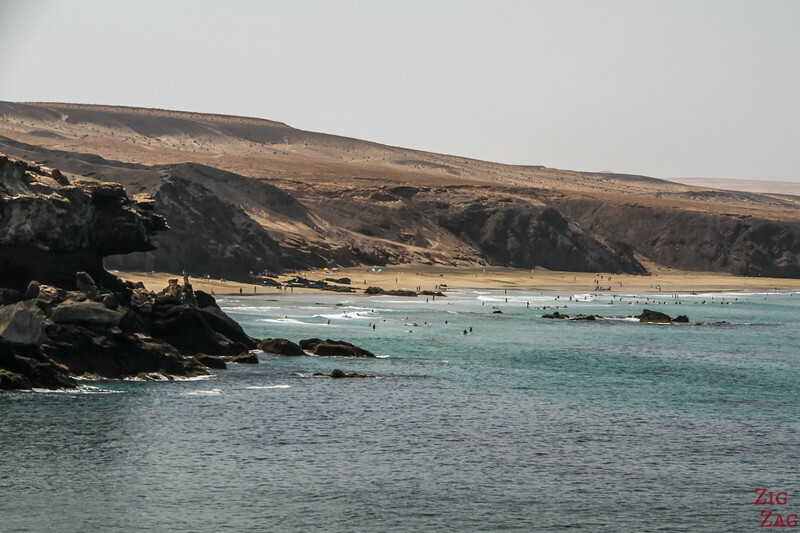 Fuerteventura first appeared 20 million years ago, and most of the land was formed 5 million years ago. Therefore the shapes have been smoothed by millions of years of erosion. The land is bare and with shades of red, orange and brown. It is quite fascinating to admire. 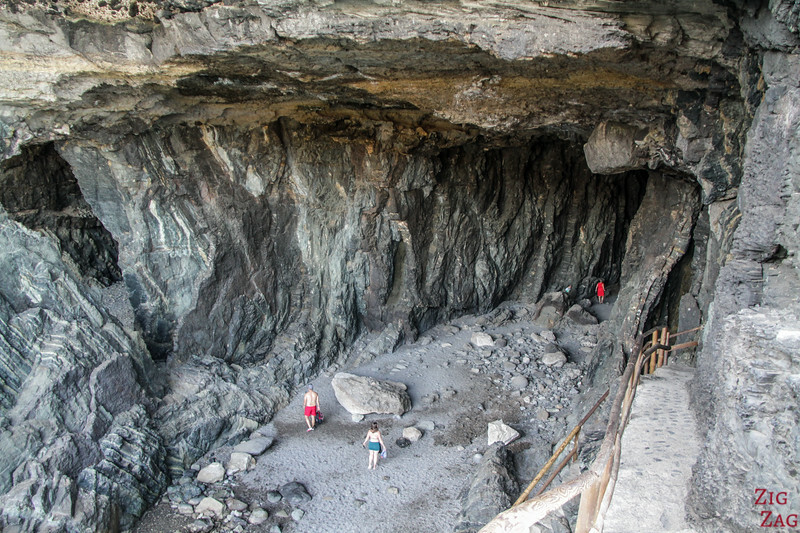 One of the main geological attractions in Fuerteventura is the complex of caves at Ajuy. In this area, you can discover a old black beach, the basalt complex along the path that is the oldest rock on the Canary island - this is sea-floor that has been revealed. It was the oceanic crust 70million years ago (during the Jurarassic). And at the end of the walk you can explore large sea caves. Such a great mix of scenery and fascinating geology! 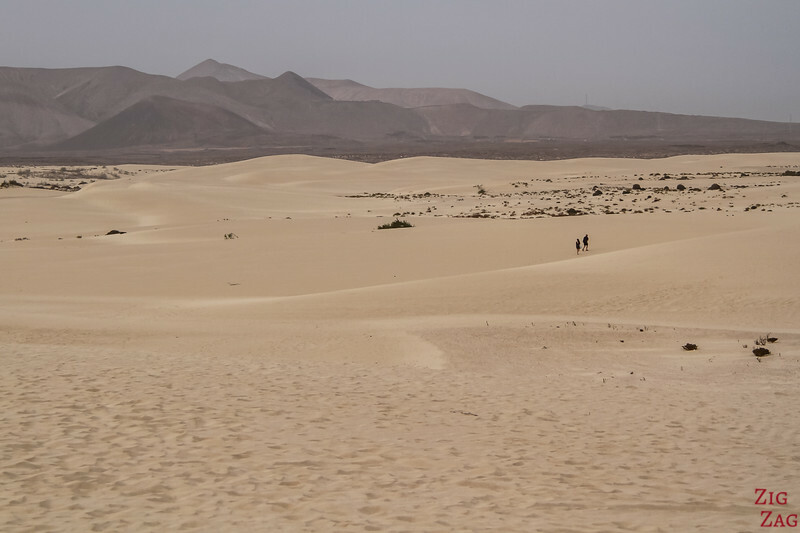 One of the most famous landscapes on Fuerteventura, the the natural park of the Corralejo Sand Dunes. It is quite impressive right by the turquoise water to see dunes after dunes with one road cutting through it. This is a 15km2 world of visual contrasts with white sand, dark volcanic rock and the sea. And no, the it was not blown from the Sahara. It formed naturally from the shells of marine creatures. 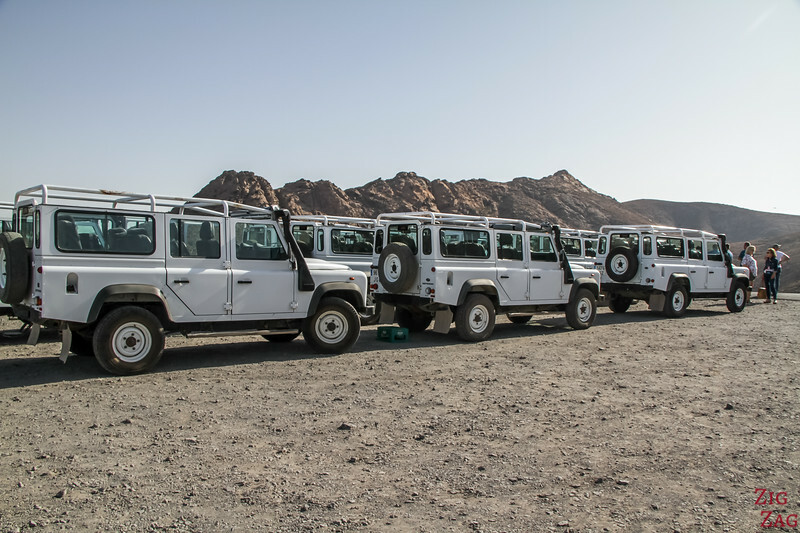 Some great landscapes on the island are only accessible with 4WD vehicules. 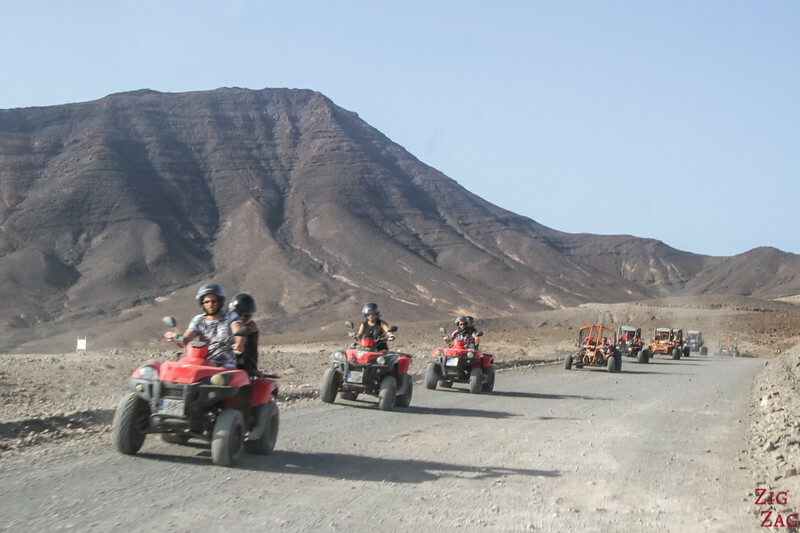 Going on an off-road excursions in Fuerteventura is a great way to learn more about the old volcanic history of the island. One of the most famous areas to visit that is only accessible via a track is Cofete. This area is wild, inside an old crater that mostly disappeared in the ocean. You have to get to the South end of the peninsula to reach it. Another great way to admire the island, is the hop on one of the Fuerteventura Boat trips. If you want a more original boat tour in Fuerteventura that is more about the boat than the island, you might enjoy going sailing on a Racing yacht!!! If you have kids they will also really enjoy the oasis park with all the exotic animals and the botanical garden. Another great option when staying in Fuerteventura is to visit the neighbor island of Lanzarote. 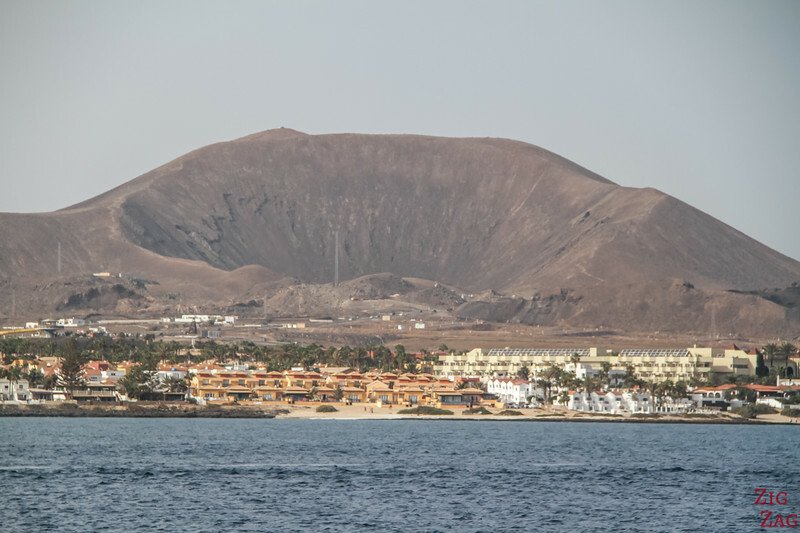 They are both quite different since a lot of the landscapes from Lanzarote are quite recent compared to Fuerteventura (eruption in the 18th century). It is actually a short ferry ride from Corralejo in the North of Fuerteventura to Playa Blanca in the South of Lanzarote. If you don't want to organize everything by yourself, you can book complete tour with pick up, boat and bus or walking tour at the other end. I really think that the volcanoes if Lanzarote should not be missed. This is an incredible landscape. But if it is not your jam, you can consider this tour that focusses on your time sailing and on shopping. I don't know about you, but I am fascinated by volcanoes. That why I have spent more time in Lanzarote than Fuerteventura. 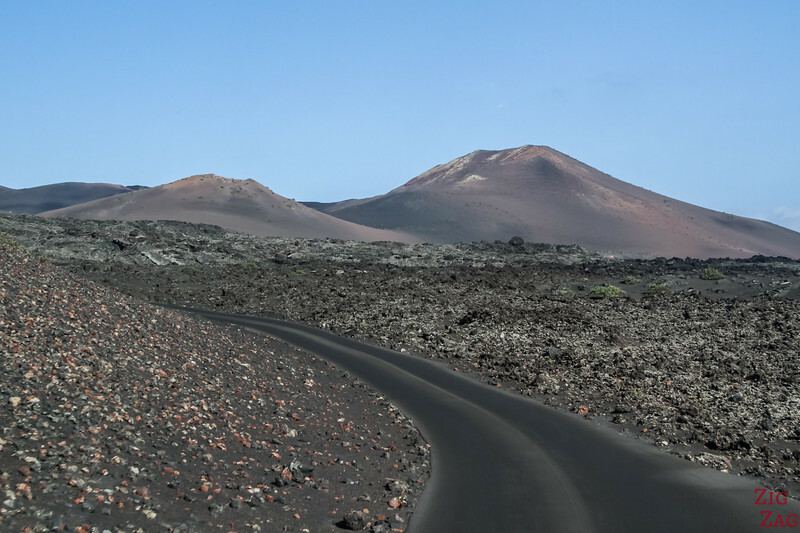 If you want to explore volcanoes, in the battle between Lanzarote and Fuerteventura, Lanzarote is the winner. They are beautiful and accessible. 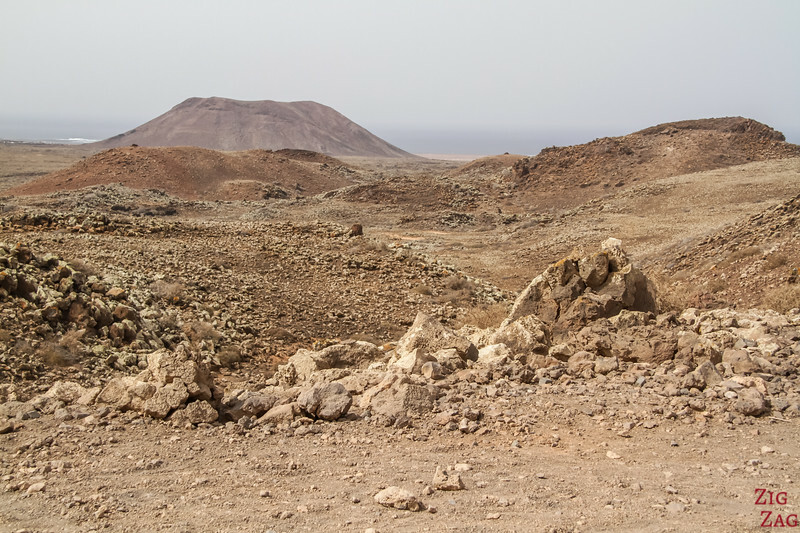 But in Fuerteventura you get to see older volcanoes and how they have been eroded by the elements. You feel the geological history of the such a land. 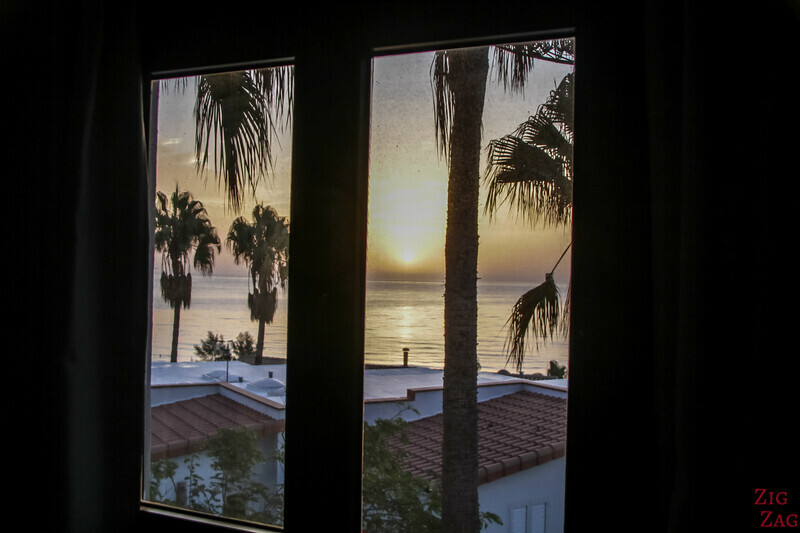 Costa Calma is located in the South of the island, on the Jandia peninsula. It is a great little resort town with a beach. Corralejo is the main resort town in the North, facing Lanzarote. It has more of a town vibe with a great restaurant scene near the port. If you don't have a car, it might be best to stay in town. 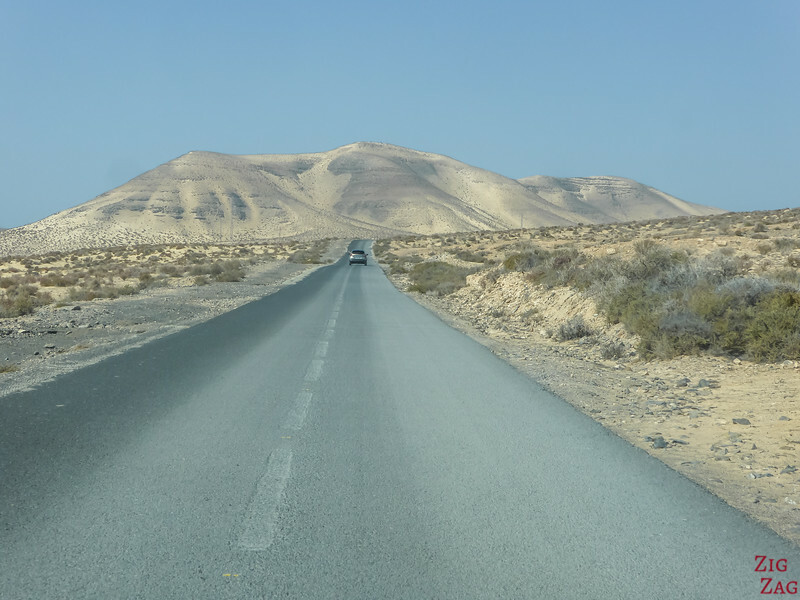 But if you are renting a car in Fuerteventura, you can create your own excursions and include some beautiful lighthouse, off the path beaches and great viewpoints.